Cooling Castle is a 14th-century quadrangular on the Hoo Peninsula about 6 miles (9.7 km) north of Rochester. It was built in the 1380s by the Cobham family, the local lords of the manor, to guard the area against French raids into the Thames Estuary. The castle has an unusual layout, comprising two walled wards of unequal size next to each other, surrounded by moats and ditches. 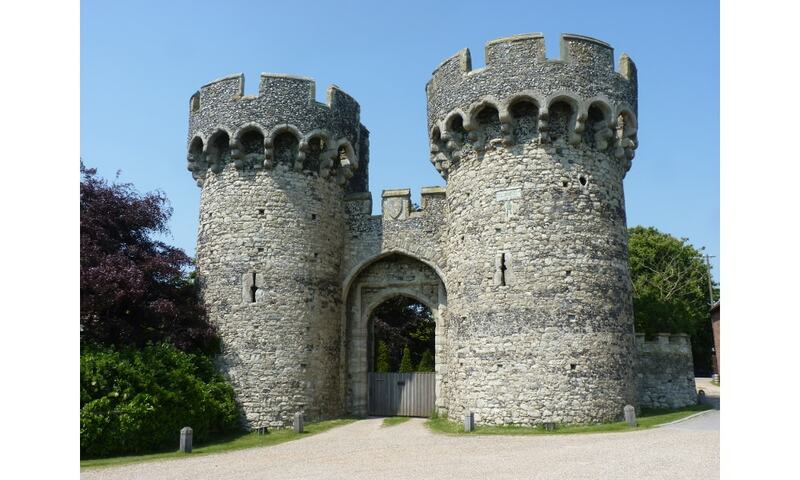 It was the earliest English castle designed for the use of gunpowder weapons by its defend.